The perfect experience gift for any junior thrill-seeker, this supercar track day allows them to drive 6 miles of the circuit in their chosen vehicle. This junior driving session gives kids the chance to take to the wheel and experience the ultimate thrill of supercar driving! We all know that every child dreams of whizzing along in their very own racing car, but most will have to wait until their 17th birthday just to experience regular driving. However, with this incredible junior driving experience, kids from the age of 10 can take to the wheel in their chosen supercar (especially styled to look like their favourite cars from the big screen!) and race around the tracks for 6 miles! As you arrive at your chosen race track, you will be welcomed and introduced to the basics of supercar driving. You will then be given the hard task of chosing which of nine awesome vehicles you will drive! Will it be the ‘Bumblebee’ styled Chevrolet Camaro? Or perhaps a ‘Fast and Furious’ style Nissan Skyline GTR or Toyota Supra? Plus loads more! Once you’ve made your decision, the fully qualified instructor will give you a thorough safety briefing, ensuring that you are confident and have the knowledge to drive your chosen supercar in style! Then it will be time to hit the tracks and take the wheel! You will race around the track for 6 miles with your driving instructor on hand throughout, making sure you get the most out of your driving experience. Race car driving is all about being ‘faster than fast and quicker than quick!’ And with this driving experience, you are sure to experience the unbelievable speed and exhilaration of race car driving! This Junior Supercar Driving Experience is the perfect experience gift for any child with a need for speed and a love for all things cars! Available at nine locations around the UK, this kids driving day is sure to bring any car lover’s dreams to life as they whizz around the tracks for 6 miles in the car of their choice! All vehicles will be at each location, on various weekend dates from February- November. Blyton Park requires a £25 upgrade fee for weekend bookings, paid directly to the track when making a reservation. Dunsfold Park requires an additional £35 upgrade fee which is to be paid directly to the track when making a reservation. Additional miles and passenger rides may be available as upgrades on the day (subject to availability) - these will start at £39.00 per car (3 miles). Further dates are released once the earlier slots have been filled. 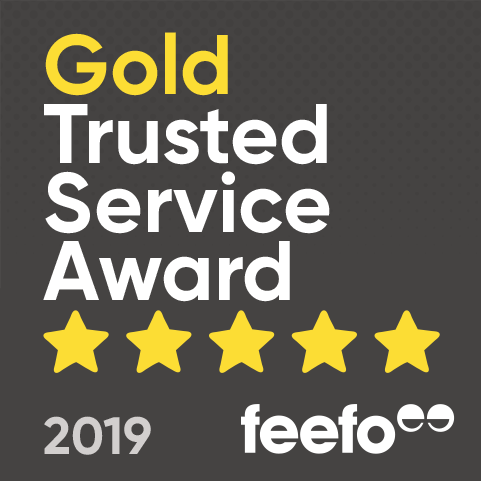 *Dates are updated regularly but availability are subject to change - if you'd like to check a date prior to redemption, please contact our customer service team. Age Restrictions: 10 -16 years. All children under 16 years of age must be accompanied by an adult at the track. All driving instructors are ARDS qualified and DBS Police checked. in the unlikely case of an accident. 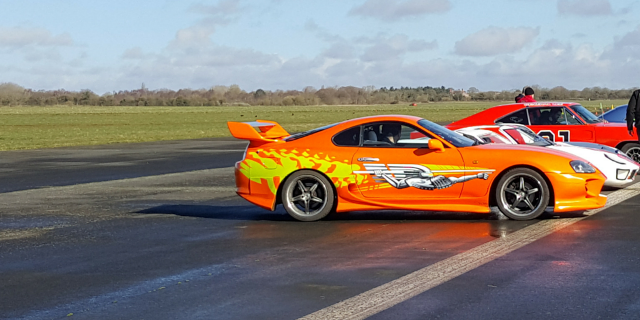 This Junior Supercar Track Day allows the participant to drive 6 miles of the circuit, in their chosen vehicle. The experience will last for approximately 1 hour in total, with actual driving time lasting between 15-20 minutes, depending on their speed. Three additional miles can be purchased for £39.00, payable directly to the track. Although these are generally available on the day of the experience, it is advised to pay in advance to avoid disappointment on arrival. Spectators can also purchase passenger rides for £10.00 on the day. Participants: The Kids Supercar Driving Experience - Choice is for 1 participant. This is a one-to-one experience between the junior driver and their instructor, however, other vehicles will be on the track at the same time. Spectators are more than welcome to come along and which their loved-one take part. Passenger miles are also available to spectators, on the day. Both hot and cold catering facilities are available at each circuit. Please dress comfortably and prepare for the weather conditions on the day. You will need to provide your own waterproofs or sun cream, where required. Any safety equipment will be supplied by the track, during the briefing. This Junior Supercar Driving Experience will run in most weather conditions, including rain. If the track day is cancelled due to extreme conditions or unforeseen circumstances, the centre will simply re-schedule the experience for an alternative date. Over all my son absolutely loved the experience of driving the supra and bat mobile, not every 16yr old can say the 1st car they drove was a supra!!! However as a parent wanting to watch the junior track was way out the way so we couldnât really see them driving, if I could suggest one thing that would be that maybe there could have been a viewing area closer to that track so we could have enjoyed watching a little more. Found the junior circuit at Abingdon disappointing. Too basic for older juniors looking for the thrill of driving a supercar! Wouldn't recommend for anyone over the age of 12. No clue about the other tracks available though! Everything was good about the experience. Bought this for my son and he had a fantastic time. I thought the driving was good but an indoor area to eat and drink would be good, also a viewing area would be good, my son enjoyed the experience, but his two video's ended up in three segments. Had a great day - very well run, really friendly and helpful staff and instructors. Thought there could of been more of a circuit for the young drivers but would certainly come again and will definitely recommend to friends. Thanks. 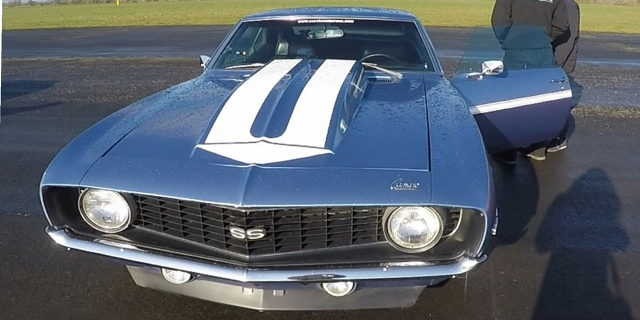 Driving American Muscle Cars has got to be any petrol head’s ultimate dream. And, when they have been featured in top block buster films like the cars we were to drive, it only adds to a super cool experience. 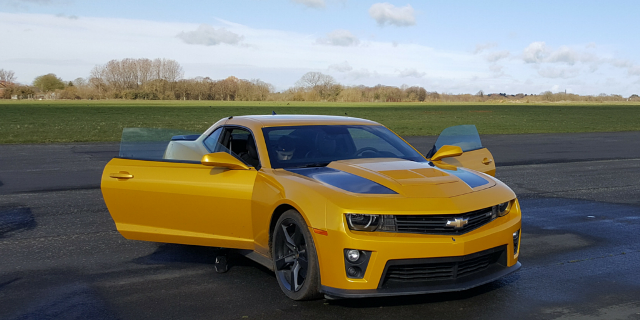 We were each testing two cars; I was taking on the classic Camaro SS as seen in Fast and Furious, and the Camaro ZL1, otherwise known as Bumblebee from Transformers! 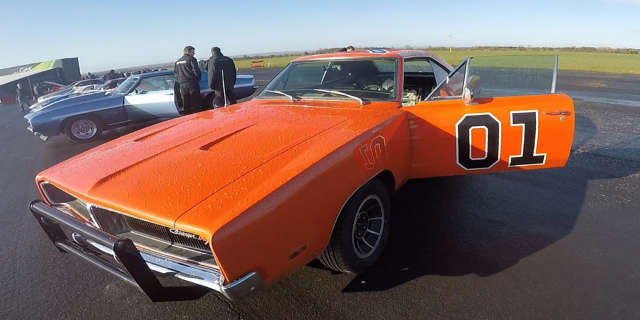 Evie was driving two very famous cars, Lightning McQueen himself and General Lee, the iconic Dodge Charger from The Dukes of Hazzard. Robb was to test the super fast Toyota Supra and probably the most iconic muscle car out there, the Ford Mustang. We arrived early at Abingdon Airfield, the sun was shining and we could hear the roar of engines as the cars were warming up for a day of driving. 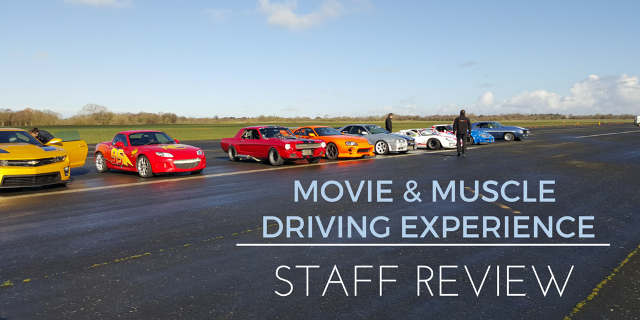 After showing our driving licences and registering in the tent, we received a group introduction to each of the cars from a highly knowledgeable instructor, then it was time to go! We waited our turn at the edge of the track, marvelling at the awesome cars lined up in front of us, perfectly happy to stand as watch as other drivers had their go. I could feel my nerves rising as the true power of the muscle car was demonstrated by the other drivers taking them for a spin. I was driving the classic SS first, and as I stepped into this beautiful car, my instructor immediately put me at ease. He explained how best to control the car and the differences I should expect in comparison to modern cars. My first impression was that this car is HEAVY, you have to press hard on that accelerator to get going and with no power steering, you really have to concentrate on driving this Camaro. It was an absolutely fantastic insight into classic race cars and although I didn’t go much more than 40mph (I know…) I really experienced what it is to drive a car of this calibre. 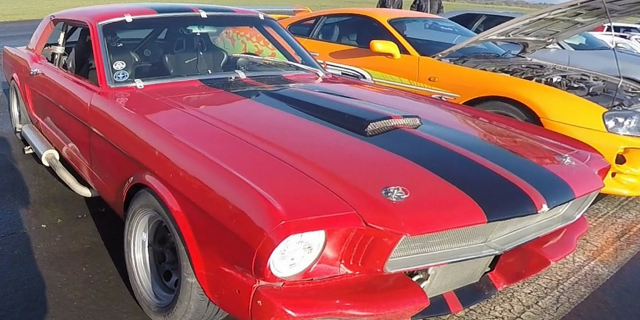 The Ford Mustang… probably the most iconic Muscle car of the lot and I was thrilled to have to the chance to test it out. This 30 year old classic car was quite tricky to drive, but that’s all just part of the experience. After getting used to the gearbox and accelerator, I was driving the car perfectly fine and enjoying the ride! – Robb. Next up was the Toyota Supra. After driving the Ford, this was a bit of a shock. This modern machine is so much lighter and so much easier to drive. Even a light touch on the accelerator and you can feel the pace pick up. The thrill of whizzing around the track in this modern race car was intense and an entirely different experience from the classic cars. – Robb. Bumblebee is a truly beautiful car. Big, bold and bright yellow, I was extremely excited at the prospect of taking this supercar out for a spin! Sitting in the drivers seat, I couldn’t wait to get out on the straights and push the limits. I’m not a overly confident driver, but I can honestly say this Camaro was a dream to drive and I was reaching speeds of 80 without even thinking about it. 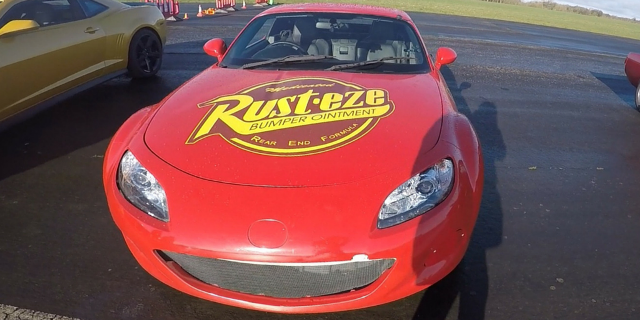 As we waited to drive the Mazda Mx5, or Lightning McQueen himself, we watched numerous kids taking him for a ride. The look of joy of their faces as they drove their Disney hero really was lovely and only helped build excitement for my own drive! Once I hit the accelerator, there was no looking back as I whizzed around in this super fun, easy to handle sports car. – Evie. The instructor had explained how this Dodge was actually used in The Dukes of Hazzard television series and, just in case I didn’t believe him, he pointed out the cast and crew’s signatures on the boot. Knowing this was an actual car used in the show made this driving experience even better! The power of the Dodge was evident from the word go and this famous car was a delight to drive, if a little hard to handle! – Evie. After an amazing morning driving these cars, it was time to head home. First though we took a quick peep of the in-car footage you can purchase as a video, just so I could prove I did get above 50mph! Do you need any previous driving experience to take part in Junior Driving Experiences? Our junior Supercar Driving Days do not require any previous experience and are tailored to accommodate the lack of experience any child may have. Can the Kids Supercar Driving Experience - Choice be booked as a passenger ride?